Which are the best open source applications and software for Windows? Open Source Foundation and people involved with it have developed some of the most used applications on the web and on Windows platform without expecting anything in return. Here are the top 10 open source applications on Windows which we use daily without probably even realizing that they are open source. 1. Mozilla Firefox: Mozilla Firefox is considered to be the most popular open source application and browser today. 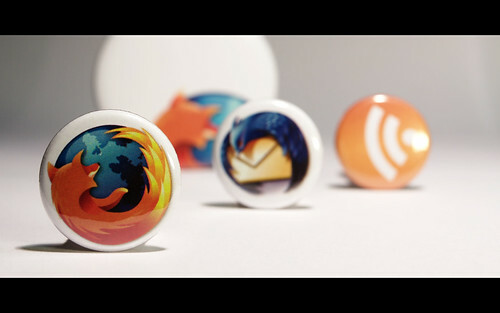 According to a statistics by W3School, Firefox is used by 47.1% of internet users while Internet Explorer 28%. Firefox holds a Guinness World Record for the most software downloaded in 24 hours. From 18:16 UTC on June 17, 2008 to 18:16 UTC on June 18, 2008 – 8,002,530 people downloaded Firefox 3. 2. Mozilla Thunderbird: Yet another Open Source application from Mozilla. Thunderbird is a desktop email client with loads of features and strong spam filtering. 3. Open Office: Open Office is an Open Source alternative for Microsoft Office. It comes with great features including support for DOC and XLS files. The Open Office Suite pack has applications for word processing, spreadsheets, presentations, graphics, databases and more. It saves all your data and files in International Open Standard Format and also comes with the ability to read and write files from other standard office software packages. 4. GIMP: GIMP or GNU Image Manipulation Program can easily replace professional graphics application Adobe Photoshop. GIMP is the best ever open source graphics designing application with loads of features. Also it has the ability to open and edit Photoshop PSD files. 5. Pidgin: Pidgin is an Open Source instant messenger. It supports other IMs as well. You can chat with users of almost all leading IMs like MSN, Yahoo Messenger, AIM, GTalk, ICQ etc. Previously it was known as GAIM. 6. VLC Media Player: Its a cross platform Open Source media player and server. It supports a huge range of audio and video formats like MPEG1, MPEG2, MPEG4, DivX, MP3, OGG, AAC, DVDs, Audio CDs, VCD and many more. VLC has support for streaming media protocol as well. Auto downloader for regular Virus Definition Update. Its a standalone virus scanner application and you can integrate with Microsoft Windows Explorer just by right clicking it. Available with Outlook Add-on to scan emails and attachments. 8. 7-Zip: 7-ZIP is Open Source compression utility with support for all popular compression formats. The 7Z format compression has the best compression ratio compared to popular applications like WinZip, WinRAR. 9. Media Coder: Its an Open Source batch media transcoder for almost all popular media formats. It can covert both audio and video formats with batch processing support. Media Coder comes with multi-threading design and is optimized for multicore CPUs. 10. FileZilla: FileZilla is another great Open Source application for Windows. Its a multi-platform full featured GUI Based FTP, FTPS and SFTP client. FileZilla is considered as the best available FTP client for windows. 11. Drupal: Highly flexible content management framework powering celebrity sites like MTV and Yahoo developer. Drupal bridges the divide between a content management system like Joomla and a PHP based web framework like say Symfony. My site MWolk is also running drupal as well as the WordPress themes directory. 12. uTorrent: almost all BitTorrent clients like uTorrent, Azureus etc are open source so the list will be incomplete without inclusion of one from torrent family. 13. Eclipse: One of the most powerful and versatile IDE for developers of any language. With its numerous plugins, it can be extended to do much more, not to mention it has a great community. 14. Python – I will finish the list of top open source applications by mentioning Python, the programming language. It has come a long way in the past 8 years and is now preferred web development language too along with frameworks like Django. So this pretty much covers the list of popular and best open source application which we are using on daily basis, if you know of few more, please tell them in comments. Guest author Abhimanyu is the owner of MWolk Media and manages MWolk.com and its various sections. He is a full time blogger and blogs at MWolk Blog and India Blog too. You can also write a guest article and share your tips on QOT.